Elizabeth, Countess Russell, was a British novelist and, through marriage, a member of the German nobility, known as Mary Annette Gräfin von Arnim. Born Mary Annette Beauchamp in Sydney, Australia, she was raised in England and in 1891 married Count Henning August von Arnim, a Prussian aristocrat, and the great-great-great-grandson of King Friedrich Wilhelm I of Prussia. In 1898 she started her literary career by publishing Elizabeth and Her German Garden, a semi-autobiographical novel about a rural idyll published anonymously and, as it turned out to be highly successful, reprinted 21 times within the first year. Throughout her life she was very prolific, had another marriage and even an affair with H. G. Wells. I discovered this author when I came upon a list of One Hundred Best Sellers of the Last One Hundred Years, so because I am down to my last 3,000 books on my TBR list, it was only natural that I go see what they were. Understand, these are not necessarily the BEST books of each year, but the BEST SELLERS of each year. You will be thrilled to know that these early years, from 1918 are most of them on Project Gutenberg FOR FREE! I do so love free. Oh, yeah. If you would like to take a look at that list for yourself, it is here. On to the story. Gee, what a darling, fun read. Seventeen-year-old twins, looking more like twelve, and not looking at all alike, are orphaned right before the onset of WWI. First, their German father dies, so their English mother takes them to England, but there she also dies of … oh, I forget what. Maybe TB. So the girls go to live with their mother’s sister, who is married to a very disagreeable and parsimonious man. Now part of the problem is that they are half German, and at this point in time, because of the war, Germans are not liked, welcomed, and definitely suspected of spying and other devious acts. The uncle does his best to get rid of the girls, first at a nursing position, where they are incompetent and also unwanted both by the patients and nursing staff, then he gets the idea to write to two acquaintances he has in America, and they can stay with one of those acquaintances and wait out the war. So off they go on a ten-day sail, attacked once by a German sub. The one twin is wildly seasick the entire voyage, but the other fares fairly well. 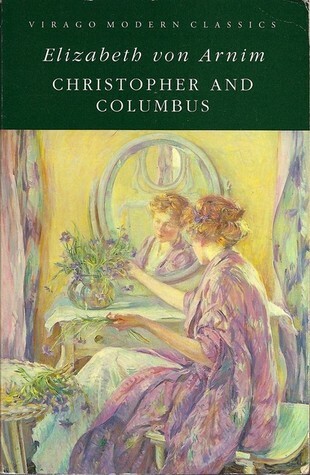 In order to keep up their spirits, they conceive the idea that they are on a voyage of discovery, just like Christopher Columbus, and so one of them would be Christopher, and the other would be Columbus. On board, (second class doncha know because the uncle is so cheap), they meet a young sweet man from first class, who takes them under his wing and determines to shepherd them to their destination, since they are such naifs. Well, the first destination is a bust. The wife has just left the husband for another man,, so of course the girls cannot stay with that guy. Egad. This is 1916. Heaven forfend! The nice young man from the boat thinking he had them safely stowed, goes home to his manipulative and selfish mother in New England, where during their formal dinner, the twins appear on their doorstep, having nowhere else to go. The mother is horrified, appalled, and after a terrific fight with the son, he leaves with the twins the next day for California, where the second contact lives. Arriving in California, they find that contact deceased. Dead as a doornail, so there goes that situation, because of course they cannot impose on the grieving widow, and on the day of the funeral, no less. The young man, wealthy from having invented a dripless teapot, installs them in a fine hotel while they try to figure out what to do, when one of the twins comes up with the idea to have a typical English tea house where they can cater to the monied crowd,. and also have a place to live. Events go on, they get snubbed and suspected, and of course, eventually, all’s well that ends well. Their names are Anna-Rose and Anna Felicitas. Von Twinkler, of the Pomeranian Von Twinklers, an old, revered and aristocratic family. Junkers. I bet you never heard of Junkers. Me, neither. So here’s a brief explanation. Junkers were members of the landed nobility in Prussia. They owned great estates that were maintained and worked by peasants with few rights. These estates often stood in the countryside outside of major cities or towns. They were an important factor in Prussia and, after 1871, in German military, political and diplomatic leadership. The most famous Junker was Chancellor Otto von Bismarck. Bismark held power in Germany from 1871 to 1890 as Chancellor of the German Empire. Many Junkers lived in the eastern provinces that after World War II were annexed by either Poland or the Soviet Union. Junkers fled or were expelled alongside other German-speaking population by the incoming Polish and Soviet administrations, and their lands were confiscated. In western and southern Germany, the land was often owned by small independent farmers or a mixture of small farmers and estate owners, and this system was often contrasted with the dominance of the large estate owners of the east. The twins grew up in Pomerania, which was a province of Prussia from 1815 to 1945. Their place had no indoor plumbing or running water, and sounded from the twins’ description pretty primitive. They were delighted to find the amenities that England had to offer. We’re not completely young, said Anna-Rose with dignity. People are completely young the day they’re born, and ever after that they spend their time becoming less so. Kindly tell your master the Miss Twinklers have arrived, said Anna-Rose, looking every inch a Junker. There weren’t many inches of Anna-Rose, but every one of them at that moment, faced by the housekeeper’s want of discipline, was sheer Junker. Mrs. Twist was suddenly overcome by a cold foreboding. Mrs. Twist often had forebodings, and they were always cold. Mrs. Twist (the young man’s awful mother) was full of dignity and honour. As a wife she had been full of it, for the elder Mr. Twist had been good even when alive, and as a widow she had been still fuller, for the elder Mr. Twist positively improved by being dead. Pardon the weird formatting. I can’t get the hang of this WordPress formatting stuff. So formatting aside, it was a fun book, and it is easy to understand how it made the best seller list for 1919. I enjoyed it so much I think I will see what other works of this prolific author that Project Gutenberg has on tap. She was wildly popular in her day. I can see why. Written in 1920, and set in a fictional Cape Cod, the story is about a former sea captain, now head of a thriving lumber and hardware business on Cape Cod, and his long suffering wife, whose only child, a daughter, ran off and married a Spanish opera singer, very handsome, and very famous. Their first child of the young couple died, and the daughter died at the birth of their second, a son. The sea captain disowned the daughter, when she ran off, but the mother got him to agree to her visiting them without the son-in-law, but she would not come without her husband. When she died, the opera singer hired nurses, and when old enough, had the boy enrolled in a very good boarding school in New York State. When the boy was 17, his father was killed in an auto accident. It turned out he left the boy nothing but debts, and a friend arranged for the kid to go live with his grandparents, whom he had never seen, on Cape Cod. 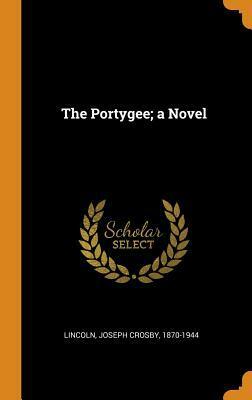 His grandfather insisted on referring to him and his father as ‘the Portygee (Portuguese), a group who were abundant in the area at the time. In fact, he called all foreigners of any nationality portygees. The boy was arrogant, and as expected, he and the old man butted heads while he grew up, grew in love a couple of times, because a poet, writer, and war hero in WWI in France. A satisfying coming-of-age tale, set in the age we now think of as ‘simpler’. I have come to believe that very few ages were actually ‘simpler’, just different. Without indoor plumbing. Nothing new in the plot to be agog and atwitter about, but a fine read nevertheless. Of course it was, that’s why it made the best seller list for that year. I enjoyed myself immensely, seeing as how I didn’t have to tax my brain all that much on it. Sometimes, that’s all we ask out of our entertainment … entertainment. I came upon a list of One Hundred Best Sellers of the Last One Hundred Years, so because I am down to my last 3,000 books on my TBR list, it was only natural that see what they were. Understand, these are not necessarily the BEST books of each year, but the BEST SELLERS of each year. Well, dang if a bunch didn’t seem like possibilities, so I snagged some, and you will be thrilled to know that these early years, from 1918 are most of them on Project Gutenberg FOR FREE! I do so love free. Oh, yeah. If you would like to take a look at that list for yourself, it is here. So here’s one of the first I have read. It is by a guy named Curwood, who, it turns out, was a prolific writer of wilderness adventure stories, and an avid environmentalist. Some of his books were even made into movies as late as the nineties! John Keith has been hunted like a fox for the last three years by a man named Derwent Conniston, a Monty hunter. Three long years of cold, starvation and abject misery. He camped with Eskimos who were themselves in dire straits and was only stopped from going mad by being caught by Conniston. In the weeks that follow however, Keith and Conniston bond in a friendship stronger than death. The two have more in common than just being the same age minus a few weeks, they look enough alike to be twins. Conniston has a frostbitten lung and a short time to live so Keith ‘dies’ and a ‘new’ Conniston is born. But Conniston dies before he manages to utter one final important message about his past, and Keith must bluff his way either to a new life or the hangman. A great many complications come up, Keith fools most, but can he pull the wool over the discerning eyes of Shan Toug? And whatever will he do when Conniston’s sister shows up? Worse, blackmail, murder and a sinister plot unfold from Shan Toug’s kimono. A sweet love story is also part of the plot, but what does one do when the girl believes you are her brother? And will she want a murderer? 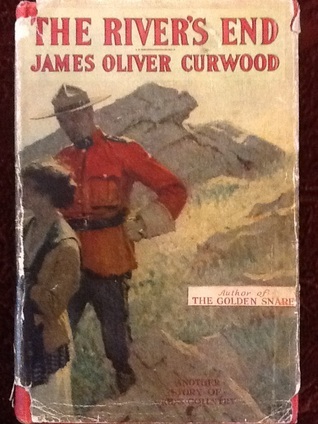 It is not a particularly original plot, even for 1919 when it was published, but it was certainly a fun read. I have a couple more of his books, which I intend to read, seeing as how this one was a great antidote for the dreariness of Edgar Sawtelle. I was about a quarter into this book when I realized it was an Oprah’s Book Club selection. I stopped reading her recommended books years and years ago when it began to dawn on me that every last damn one of them was dark, sad, unhappy, depressing and a bunch of other descriptions like that. I don’t like depressing books. I am a PollyAnna gamboling down the daisy-filled hillsides in the warm sunlight of spring kind of girl. But so far, so OK, so I continued. And I was right. It was fine for about three-quarters of the book, and then darkness fell, evil ensued, the black heart of human nature appeared, and I was sorry I started the darn thing. It is about a family in northern Wisconsin, I think, who were the third generation of dog breeders, with an extensive kennel, who only sold extremely well-trained dogs of about 18 months or two years. Their first child was stillborn, but the second was healthy. Although it turned out that he could not speak. He could hear, but not speak, and so the family developed their own DIY version of sign language. After many years, the father’s estranged brother returns to the small town, and works for a bit with the family, but the old rancor between the brothers re-emerges and he leaves to go live in town and work for the vet. 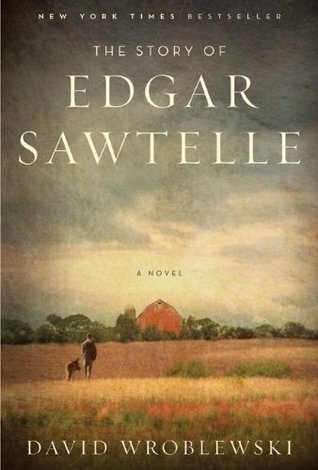 When the boy was a young teen, or so, the father has a brain aneurysm while working in the barn kennel, and dies. The mother and boy do their best to continue on the business but it is a hard go, and eventually the brother starts showing up to help out, and the two adults come to have a relationship, which of course, the young boy strongly resents. At one point, the vet appears at the top of the stairs to the second floor of the barn where the boy is working with the dog training, but the boy has some kind of weird vision and flies to attack the old man, who stumbles backward and falls down the stairs, breaking his neck and dying. The mother tells the kid to run away, which he does, and hence follows a long involved telling of his trek with three of his dogs, breaking and entering vacation homes to steal food. He eventually meets an old bachelor who takes him in, and the boy decides he must go home. Not telling you the rest but it is ugly. 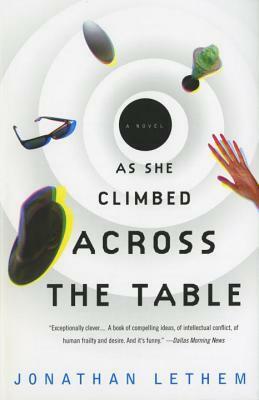 This book received the First Novel Prize (2008), Colorado Book Award for Literary Fiction (2009), Sakura Medal Nominee for High School Book (2010), Indies Choice Book Award for Best Author Discovery (2009), Puddly Award for Fiction (2009)The Center for Fiction First Novel Prize Nominee (2008). It’s been called the reanimation of “Hamlet.” I guess there really are only seven basic plots in the world. Well, it was beautifully written, yada yada yada, but golly gee whilikers I sure did miss the daisies on the hillsides. A soldier is freshly back from the killing fields of WWI, suffering badly from what was then called shell shock and what we now refer to as PTSD. His wife has left him, and with his art degree and his art restoration skills, he takes an ill-paying job in the north country of England to restore a painted-over mural in a remote tiny chapel. He is to receive a pittance for the job, but can live in the bell tower, and receives food from various members of the small community. This was just the sweetest book. 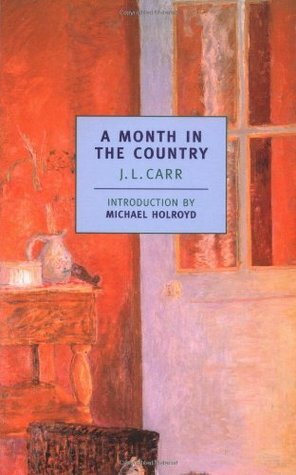 Descriptions of the bucolic peace, the eccentric and charming characters who live there, produce a work with not exactly much of a plot, but yet a story that is just chock full of life. There is the head of the church and his young wife, who live in the church’s manse, a huge, creepy, dark place. There are the Ellerbys, dad who is the station master, his nurturing wife, and the daughter and son. They are Wesleyans, and do not attend the church where our protagonist, Tom, is laboring. The characters seemed fully formed, although never discussed in much depth, such was the cleverness of the writing. There is the gravedigger and grounds keeper, a taciturn sort, and Moon, who is an archaeologist endeavoring to find the grave of an ancient ancestor of the patron of the church. He knows where those bones are, but has dug a hole with a tent over it to while away the summer hours until such time as he is to leave for other efforts, at which time he plans to miraculously locate the remains. Tom and Moon become friends of the moment, Tom develops a fancy for the wife of the churchman, but realizes that it is not to be, that neither he nor she are ready for such a folly. He finishes uncovering the painting, which is of a painting done 500 years ago, a typical doom theme, with sinners falling into hell, and the saintly arising to the heavens. He regains his sanity and his inner peace while doing his work and interacting with the village inhabitants, packs up his tools, and goes home to London to his wife who know wants him back. There was no great drama. No great mystery. No great action of much of anything, but simply a soothing book. Loved it. You know, sometimes a book just tickles your funnybone. Is that two words? Funny bone? Well, whatever. What. Ever. Not sure just what the genre is, but it is about a particle physics scientist, a young woman, working with a university physics team, and and her boyfriend, an anthropologist at the same university. The physics team has just created a void … a hole in the universe, which they have named Lack. Well, this void has preferences. It will accept certain items into its nothingness, but not others. Alice fall out of love with the boyfriend, and into love with Lack, whose preference is not for her. All kinds of folks, scientists and non-scientists alike try feeding items into Lack. But the one thing it definitely doesn’t want is Alice. Cnsciousness creates reality. Only when there is a mind to consider the world is there a world. There’s no world where there isn’t a mentality to consider a world. An example: there are subatomic particles as far as we are willing to look. We create them. Consciousness writes reality, in any direction it looks — past, future, big, small. Wherever we look, we find reality forming in response. Reality is unwilling to fully exist without an observer. If consciousness is required to confirm the new reality, you have to provide the consciousness too. You can’t make just a whole new universe full of reality, without making the commitment to look at it. So, the upshot is that Lack is a void with consciousness that wants to make a reality and so it uses the stuff that the folks are tossing into the void to create another world, or dimension, if you will. Our boy tries to enter the void …. and OMG … is successful and ends up in a strange world comprised of all the junk and items that people had tossed into Lack. He returns to the entry point, and pops back to the lab, to find it is still not his original world, but that of some blind guys who entered Lack, and he is now in their blind world. He tries again and ends up in the void, as the void. It is a pretty interesting concept, and reads way better than this pitiful plot description does. It is a bit about science and physics, a bit about love and romance and how fragile that can be, a bit about tweaking academia, and a bit about ‘how far can I go with this concept?’. Really a fun read. The official blurb: No species has ever reached for the stars without the guidance of a patron–except perhaps mankind. Did some mysterious race begin the uplift of humanity aeons ago? 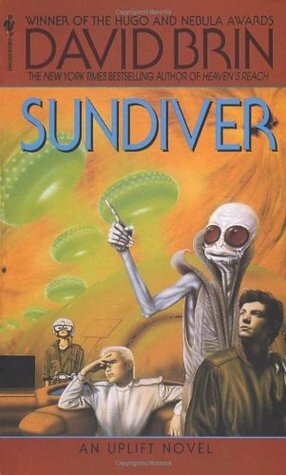 Circling the sun, under the caverns of Mercury, Expedition Sundiver prepares for the most momentous voyage in history–a journey into the boiling inferno of the sun. Written in 1980, this hard science sci-fi piece is missing some tech we would today consider essential, especially since the folks in the universe have developed space travel to a hey-nonny. Kind of like us today maybe having TV without having radio. But anyway. Humans (read the USA) are superior to everybody else. Humans are technologically outclassed by every other space-faring species in the galaxy but are superior because their intelligence evolved naturally instead of being the result of genetic manipulation by an older species. Or maybe not – it’s the hottest debate in the galaxy. Various species think humans are upstarts. Others – usually also younger species – rather like humans. Devious, nefarious politics ensues. The Rugged Individualist trope thrives even in space opera. The protagonist is that most common of all fictional heroes: the flawed human hero male. He saved some big deal something in South America, to the cost of his wife who fell 20 miles. Dang. Bet that made a hell of a splat. We are not sure if it was due to his negligence or his hubris, but there you have it — the guy who is taking years to recover from this tragedy. What he does, is separate his personality into two different personalities, one good, one not so good, and he can call on the not so good one to get big jobs done. So it is essentially glorifying dissociative identity disorder as A Good Thing. Good grief. A group stationed on Mercury is conducting dives (or trips) into the outer atmosphere of the sun, where they see ghosts. So OK, you got me at ghosts. I am all in, because what’s not to like about interstellar ghosts, right? The scientists persuade David to join them in trying with his special abilities to solve what these apparitions might actually be. Enter The Murder Mystery. Really. This book has something for everyone. There is even Romance. Somebody gets killed, kind of a locked room mystery since they are all cooped up on this space station, and David, our schizoid friend, determines to uncover the culprit. Lots of great aliens in this story. Probably the best thing about the book. Well drawn, well imagined. 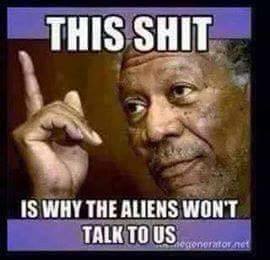 Not just a funky human in alien garb, but truly alien in appearance, and thought processes. I found this a fun read, lots of interesting concepts and a decent musing on the “Well, aren’t WE special” attitude of us humans. Yeah. There are a couple more volumes in the series, but I was not entranced enough to be bothered acquiring them.